After so long on the road, we’ve learned more than a few lessons in how to pack, what to pack, and – most importantly – what not to pack for a round the world trip. Shortly after starting our trip, we posted details on all of the items we’re carrying on our gear page, including a complete breakdown of both of our packs. For the most part, we are still carrying the same items listed on that page. But, as you would expect after so many months of constant use, a couple items have been replaced, tossed out, or changed for something a little more appropriate. For example, a number of toiletry items and one pair of Keen shoes have been replaced. Without a doubt the best thing we’ve brought on the trip. It gives us peace of mind by allowing us to lock up our passports, money, credit cards, and other valuable items around a bed frame or other permanent fixture. It’s the first thing we always set up after unpacking in a hostel. In order to save space, we only carry a small number of quick-drying (read: non-cotton) clothes. With such a limited wardrobe, we are almost constantly washing clothes, using hostel sinks and this small clothesline. Typically, this involves creatively hanging the line between two bed posts, around a curtain rod, or across a hand railing. Luckily, we haven’t lost anything yet! 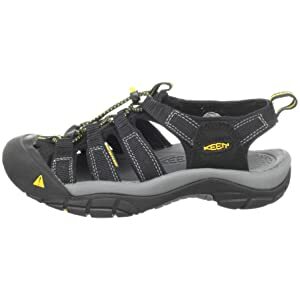 These shoes are great as they are like a regular sandal but have toe-coverings and decent treads, giving them most of the benefits of a regular shoe in a light-weight, well-ventilated sandal that double as water-shoes. We’ve used these on everything from light hikes to crawling around in water-filled caves and they are the footwear we use most often “around town.” Unfortunately, Erik’s H2 Newport KEENs were defective and broke within the first couple months, however, the replacements we picked up in Panama have been reliably doing the job day-in day-out the past 6 months. A bit of a luxury, sure, but also a huge help. Using this phone, we can fire up the GPS to figure out where we are, keep track of our expenses, look up hostels, restaurants, and attractions and, of course, keep in touch with home. 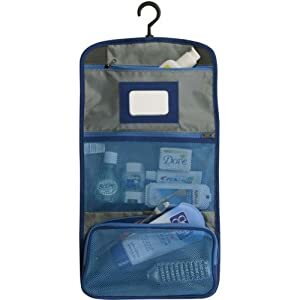 Since we usually have to share bathrooms in hostels, this toiletry kit is extremely handy for transporting all the essentials back and forth. The hook allows it to hang from a door knob or towel rack, and the built in mirror has definitely saved the day on more than one occasion. To top it off, this Eagle Creek is small and folds down flat. After our original folding toothbrushes wore out in Central America, we looked all over Panama City to find a replacement set! Unfortunately, Amazon doesn’t sell the exact model we use, which is durable, compact, and stays clean – unlike many other travel toothbrushes which are flimsy and only designed for occasional use. Prevents us from stumbling around unfamiliar dark rooms at night or waking up other people in dorms. We carry other flashlights and headlamps (essential!) as well, but this one is usually the first within reach. Originally, we thought it would be a good idea to use a collapsible daypack, which would fit into our main packs when not in use. In reality, though, this pack has only been emptied and compressed flat on one occasion – our initial flight to Cancun. 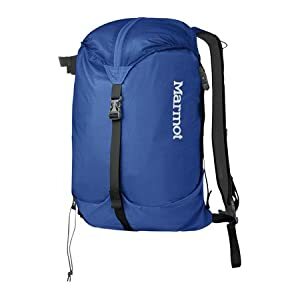 Since I’m constantly carrying this pack on my shoulders, buying a collapsible pack defeats the purpose – it would have made more sense to buy a regular daypack, which would offer more compartments and better support. While we have captured some cool video clips with this small video recorder, most of the time it has been left at the bottom of my bag. On the other hand, we are nearly always carrying around our regular point-and-shoot cameras. In hindsight, it would have been a better idea to just buy regular cameras with HD-video capabilities. To top things off, the Flip camera died 6 months through our trip (unfortunately, right before we really needed it in the Galapagos). 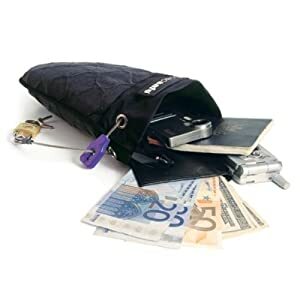 Travelers seem to either love or hate pack cubes, which organize clothes in easy to access zippered compartments (some of which are even slightly transparent to further help locate items). We ended up taking a couple of these, to pack socks and underwear, but wish we had just decided to use stuff sacks like we do for our other clothes. 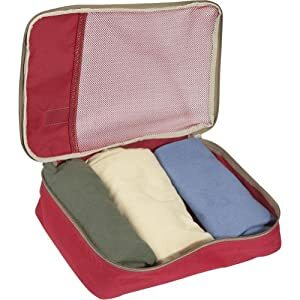 While pack cubes are definitely convenient, they waste a lot of space compared with stuff sacks, which can compress a huge pile of clothes into a small, compact bundle. Mosquito nets are essential in many of the tropical, bug-infested climates we’ve visited and we would never suggest sleeping without one in places where malaria and dengue fever are present. That said, almost every hostel, hotel, and jungle lodge in these places provides their own netting, so carrying your own is redundant and a waste of space. It is worthwhile to carry duct tape and a small bit of netting material, to repair broken or inadequate nets, but carrying two individual nets (which also can’t easily fit across a double bed) was a mistake.